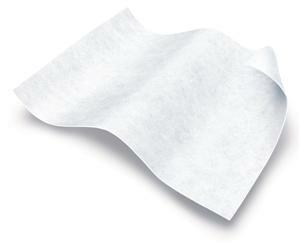 Ultra-Soft Dry Cleansing Wipe: Change the way you think about disposable washcloths with Ultra-Soft wipes from Medline. The soft-spun fabric creates a low-lint wipe that is gentle against sensitive skin. Sanitary and disposable, helps reduce the risk of cross-contamination. Unlike premoistened wipes, you choose what cleaning and protecting product to use. 10" x 13" (25.4 x 33 cm). 500/cs, 50/pk.